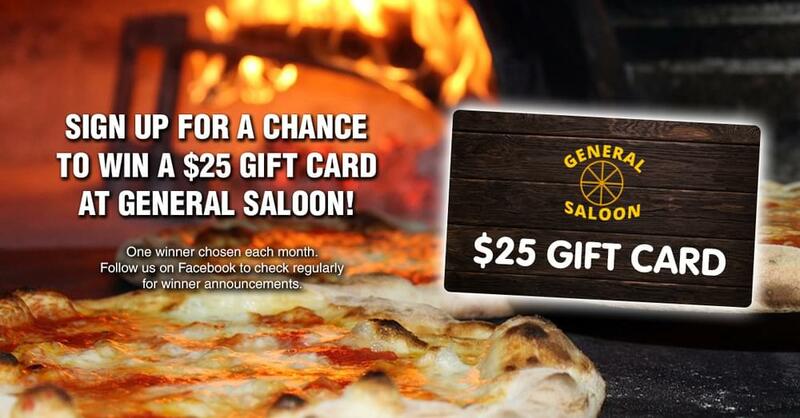 Sign up to enter for a chance to win a $25 gift card to General Saloon! One winner will be chosen each month and will be announced on our Facebook page: https://www.facebook.com/GeneralSaloon/. Winners chosen the week before the first of each month, giving them a week to claim their prize. By entering your email address you are giving us permission to email you with information related to this submission and our business.